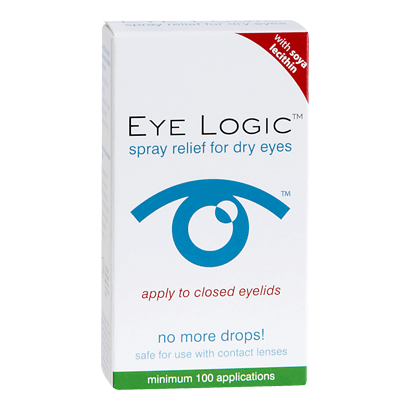 Eye Logic is a hardworking and effective spray relief for the eyes. Distributed by Optima Medical Swiss AG, the spray offers a fast acting solution to tired and distressed eyes. Using a revolutionary new system of application and delivery, the spray is perfectly well balanced to prevent light sensitivity, grittiness and build-up of impurities in the eyes. The Eye Logic relief spray is perfect for users of contact lenses. The spray can simply be applied directly onto the closed eyes, doing away with the need for drops, lotions or gels. Make-up wearers can also apply the spray in absolute confidence. When used at a sensible distance there is no risk of the sprays pressure interfering with cosmetics or causing make-up to run. Most importantly of all, the Eye Logic spray is easily able to relieve tired and irritated eyes quickly and conveniently. The spray arrives in a 10ml container and should be sufficient for up to 100 applications. As a premium source of fighting back against the causes and discomfort of dry eye, the Eye Logic spray is a respected and well composed product. The spray uses a specific design and well-balanced formula to remove the worst excesses of tiredness, dryness and sensitivity.